Shelbie Z opened the night for Team Blake. She was given the song “Fancy” to sing. She added a hint of rock to her rendition, and it worked very well. Shelbie came out with nothing but confidence and conviction. “Fancy” is a character song. It tells a story, and Shelbie told it perfectly. Honestly, it could not have been a better song choice for her. She easily nailed every note and really set the bar high for the night. If one didn’t know better, one would swear she has been doing this for years. Team Adam’s James Wolpert was up next. Adam gave him “A Case of You” as his song. James brought things down and sat there on stage with his guitar. He wanted to show the viewers a more subdued version of himself and did the song acoustically. Normally, in this kind of competition, an acoustic performance is risky and tough, but he completely nailed it. Even Adam’s face during James’ rendition was that of pure awe. James was able to showcase his incredible vocal range with no distractions. I have to admit... it was amazing. Nik Hawk followed with “Blurred Lines.” Blake’s choice of song for Nik was smart. Nik does really well in the higher register and has a very strong personality that comes to life on stage. Nik didn’t just do a cover of the song... he made it his own. Adding an element of rap and working the audience like a pro, he showed he is nothing less than a performer. Even though his vocals had nothing to rave about, his stage presence and personality made for a very entertaining and fun performance. I noticed, too, that every coach commented on the performing part of Nik, but none really commented on the vocal part. Blake’s team continued the night with Ray Boudreaux singing “Home.” Ray wanted to show the world his roots and his ties to “Swamp Pop.” His performance started off being back-shadowed by the entire band. The first verse showed us his soulful tone and bluesy feel. By the second verse, he picked things up and threw in some of that amazing gritty sound he has. He worked the crowd and worked the stage as though it was his second home. He took his personality and put it into every note. I thought it was very well done and had a great feel and energetic mood. Austin Jenckes continued Team Blake’s run this evening with “She Talks to Angels.” He chose to go acoustic as well, which added an even further connection with the song and the audience. His voice is very powerful and easily filled the room. The emotion and confidence could be seen on his face and felt in the lyrics. I did find, however, that Austin put a little too much power into a few of the verses. His vocals didn’t falter, but I found it took away from the emotional feelings the song was trying to convey. But he is a powerful vocalist, and the crowd loved it, and the coaches loved it. Team Adam’s turn came again and Grey was given “Still Into You.” Adam wanted her to be able to get away from the wedding singer groove and move more into the rocker version of herself. He wanted her to be able to discover her own being, instead of just doing a simple cover of a song. Grey is one of those artists on shows like this that just get better and better each week. She started her performance with the full band backing her and instantly got right into the performance. 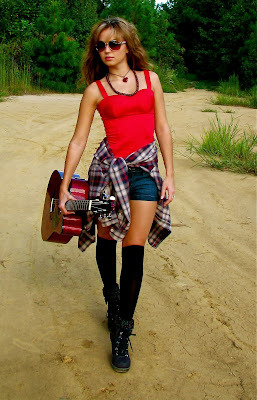 She took the song and made it hers. She involved the entire audience and used the whole length of the stage to show her stuff. At times, doing a kind of skipping run across the stage, her energy seemed to explode from a limitless source... all the while, hitting the notes and holding her pitch. She absolutely rocked it last night. Adam’s team continued with Will Champlin and “Secrets.” He began sitting and playing the piano. His vocals were soft and okay. A little over a verse into the song, he got up and stood on the stage and brought some power, before going back to the piano for a softer finish. The performance was a bit boring, and his vocals were a little soft. It was, however, very heartfelt and emotional, but it really wasn’t one of his best... should've had a better song choice. Preston Pohl was up next for Team Adam. His song “Nothin’ On You” was great to show his power and range. Preston's voice is very powerful and nothing less than unique. I did find the rap/talking part of the song more pleasing than the rest, and I felt that he put too much roughness into parts of the chorus. He did do a great job with his performance, and all the coaches completely loved it. Blake’s last performer was Cole Vosbury doing a rendition of “Maggie May.” He was set up on a mini-stage amidst the audience... just him and his guitar. It was a mellow but highly involving performance. Cole had a great tone and solid vocals. It was well done, and he engaged everyone, but I think the song limited him in showing his true range. Tessanne Chin closed the show for Team Adam. She was given “Many Rivers Across” to showcase a bit of her heritage. From the first note, her power was evident, and her voice just cut through everything. Where she was in the Blinds to where she is now is incredible. The song allowed her to show us her remarkable control and vocal range. She gave a nearly flawless performance and had the loudest reaction from the crowd all night. She even earned herself a standing ovation from her coach. All the artists last night showed us, with no doubt, that everyone of them deserves to be on The Voice. Even CeeLo commented during the show that the talent this year is just amazing, and I have to agree. It’s going to be very tough to see any of the artists leave, but only 3 from each team can move on. In my opinion, Shelbie Z (Team Blake) and Grey (Team Adam) had the best performances last night and should be ‘sure-things’ to make the Top 12. My other pick for Team Adam is James Wolpert, and for Team Blake, I choose Austin Jenckes. The third one for each team I’m really not sure on, but I will wager a guess and say it will be Preston Pohl (Team Adam) and Cole Vosbury (Team Blake). We will see on Thursday. 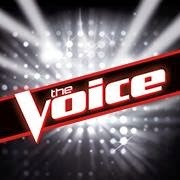 Follow me and my thoughts on Twitter and Facebook and don’t miss my weekly posts about The Voice. Who caught your ear? Who’s your favorite? What do you think? Leave your thoughts and opinions in the comments below, or connect with me on Twitter and Facebook.